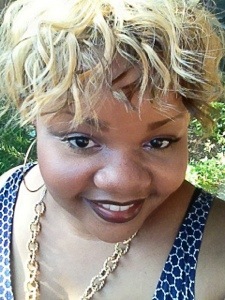 I don’t normally wear false lashes but I decided to throw em’ on and feel glamorous for a few days. Here’s a tutorial on how I apply them. 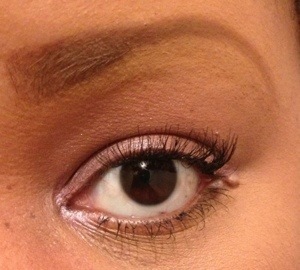 I always use individual lashes with the knot if I want to have them in for a few days. I use strips for a one day application. These come in brown also! I use both short and medium lengths. 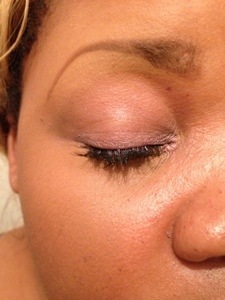 Starting with medium on the outside and finishing with short on the inner lid. I think it looks more natural that way. Clean lashes = more days of fabulousness! 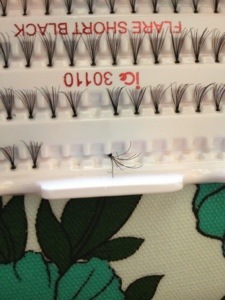 Dirty lashes = frustration. 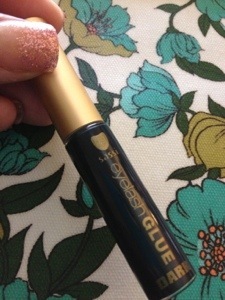 I clean my lashes with disposable lipgloss applicators and toner. Just wipe em clean. I don’t use cotton swabs or cotton balls cause getting a cotton fiber in your eye is the worst. Period. So, prep and let them dry. 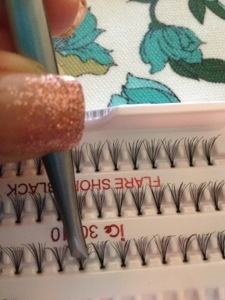 I use tweezers to pull the lash off. I also turn the box upside down and pull up. Grab near the knot and pull slowly. 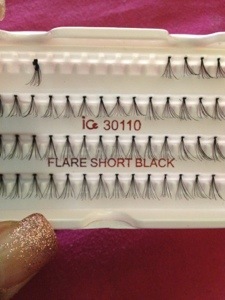 You don’t want to shred the lash or it will look like this! Not cute and not usable. 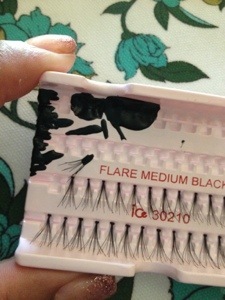 Now carefully place the lash between your lashes at the lash line. It takes practice, lots of practice but once you get it you will get them done quickly. Here are some shots for you guys! How do you apply your lashes? Do you have a favorite glue? Previous Post September Bento photo challenge. Next Post What us people pleasers need in this life!